> How Is the Canon EOS Rebel SL3 Getting so Many Shots From the Little LP-E17 Battery Pack? 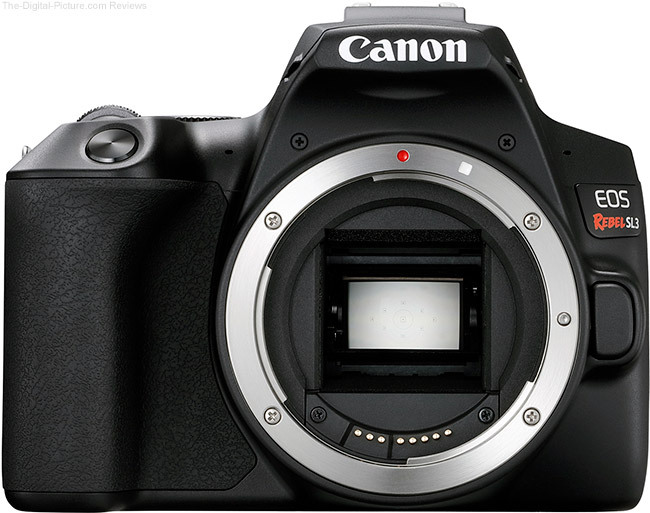 The Canon EOS Rebel SL3 utilizes the same small LP-E17 Battery Pack found in the Rebel T7i, the Rebel SL2, and many other recent EOS camera models. Having the same battery shared among many cameras is convenient and efficient in many regards, including from manufacturing and inventory perspectives. That multiple cameras can potentially share the same charger and supply of backup batteries is great and especially helpful when traveling. Small batteries typically produce small shot ratings and I thought I misheard what Canon USA's Drew McCallum said during a phone call prior to the SL3's announcement. A CIPA 1,630 shot battery life rating (at 73°F/23°C, AE 100% — no flash) from the tiny Canon Battery Pack LP-E17? That is a HUGE increase from the already very reasonable 840 shot rating of the SL2. When the official specifications document arrived with Drew's number confirmed, my skepticism turned to enthusiasm. Most could shoot for days or even weeks on a single battery charge and that is super-convenient. So, my question was then: "How is the Canon EOS Rebel SL3 getting so many shots from the little LP-E17 Battery Pack?" Whenever I have a Canon camera-related question, Canon USA's Rudy Winston can be counted on for an accurate answer. First, Rudy assured me that no changes have been made to the LP-E17 battery pack, ending any speculation in that regard. My own first guess at this answer was that the DIGIC 8 processor could be credited for the significant performance improvement. Rudy's response in this regard was that "While the new DIGIC 8 processor most assuredly adds some features and performance, the engineers did not list improved battery life as a benefit of the latest Canon processor." "Obviously, there were some efficiencies achieved in this updated [camera] model, but our engineers haven't shed light on which ones are responsible for its very good battery performance." Thus, the full secret formula has not been disclosed and though we may never know the complete set of reasons why the performance is so great, we can still enjoy the great performance.